If you’ve ever lost important information or even potential business because of a power outage or utility failure, you might consider purchasing an uninterruptible power supply. 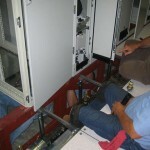 Almost every business or company today relies on the use of electricity. If you have mission critical equipment dependent on power and don’t want to risk losing out because of a power outage, take the control back with the purchase of an uninterruptible power supply. What are the benefits of purchasing an uninterruptible power supply? First, you will never lose unsaved data on a computer. Second, you will never have to disappoint a client because you can’t access information or supply them with your product. Lastly, you will save time and money. UPS devices are designed to maintain the flow of electricity even when experiencing a power outage, utility failure or power surge. Depending on the particular UPS device you choose you can maintain power for a couple of minutes allowing you to hurry and save data you are currently working on or save client information. If need be, you can even purchase a larger device allowing you to keep power for an extended amount of time to keep your business up and running while working on getting power back. You will never lose out because of something that is out of your control. You will still be able to serve your clients or customers the same as before. When running a business you are dependent upon those you are offering your service or product to. They are what make your business run. Without them, you would have nothing. Imagine you are on a phone call with a potentially large client who could possibly generate a substantial amount of revenue for you. You type in the clients contact information and a couple details about them. You’ve also typed on your computer the particular service they are requesting. You hang up the phone, go to hit save and just then the power goes out. All you had just input is lost. Who knows if you will be able to get the clients number again. If you do, you run the risk of looking unprofessional and incompetent to the new client. Potentially, you’ve just lost a client. If a UPS device had been installed you would have had the time to save the information as if the power outage had never occurred. No business or pride lost. An uninterruptible power supply is not just used to ensure power to mission critical equipment; it can also be used as a surge proctor. Sometimes, when multiple pieces of equipment are powered together, a sudden power outage or failure could result in the frying of the equipment because of the interference. Spikes in electricity and “noise” can also cause damage. If this were to happen, you would lose all your equipment and have to not only repair the power source but also purchase new equipment before business could return to normal. Money would be going out with no money coming in. An unexpected power outage has the potential to ruin your livelihood. Your business is important to you and the clients you serve. Protect your mission critical equipment with an uninterruptible power supply and ensure you can keep your business up and running. You will appreciate the time and money saved. 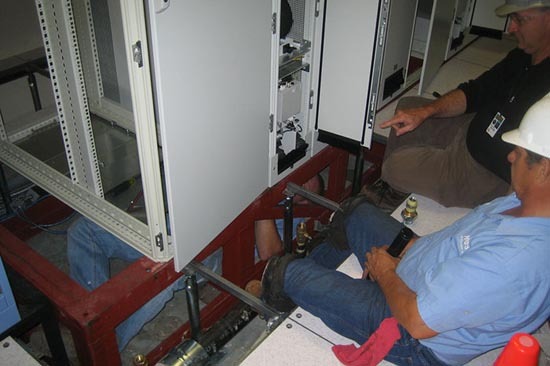 This entry was posted in computer room maintenance, data center maintenance, Mission Critical Industry, Uninterruptible Power Supply and tagged Crytical Systems, Data Center Construction, Emergency Power Systems, Uninterruptible Power Systems. Bookmark the permalink.